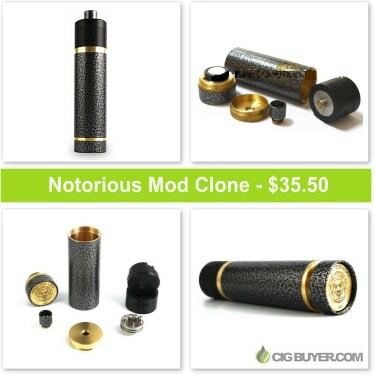 The super limited Notorious Mod is a collaboration project between Cloud Kicker Society (CK|S) and Aether Tech. It comes in two drastically different and unique finish options, the Silver Vein version being a powder coated mixture of silver and black, creating a splattered look as if it was spray painted. Designed with the cloud chaser in mind, this 26650 mechanical mod is a beast and comes complete with a matching Plume Veil RDA and a drip-tip.